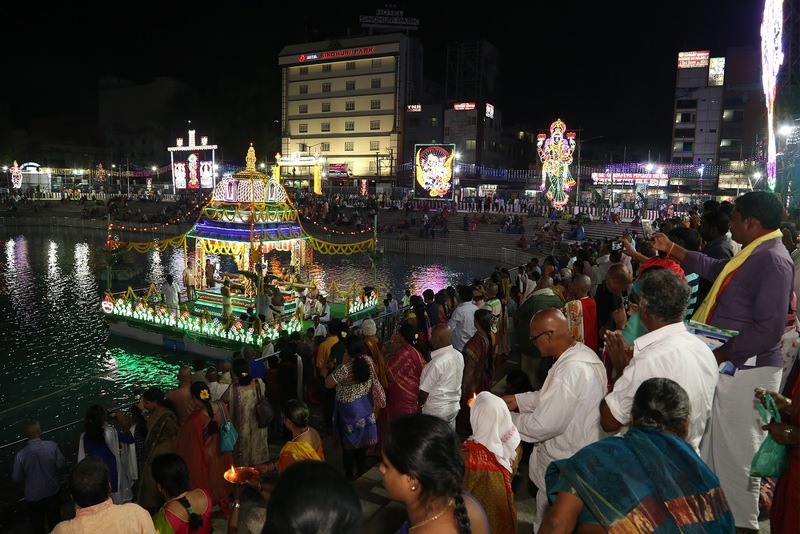 Tirupati,13 February,2018: The five day colourful and holy annual teppotsavam of Sri Govindaraja swamy Temple kicked off grandly this evening when the utsava idols of Sri Kodandarama Swami and his consorts were taken on a colourful flat ride. 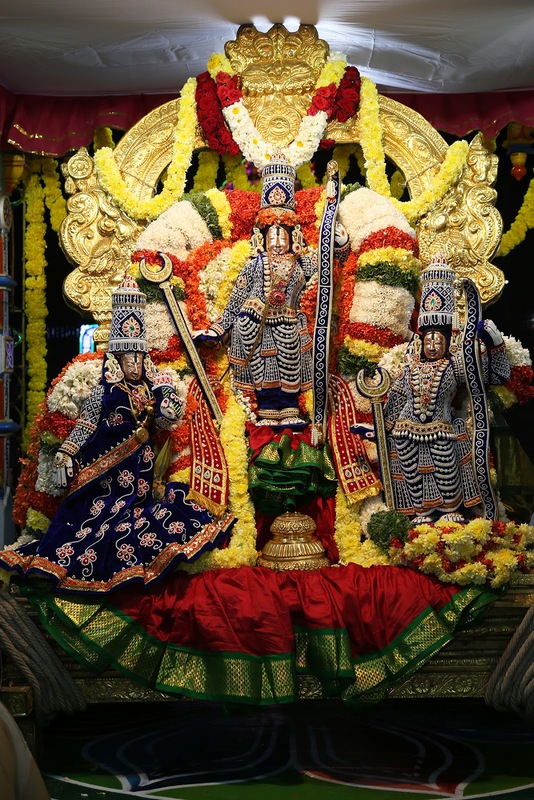 Earlier the deities blessed the devotees when taken in a procession on the four mada streets as well. 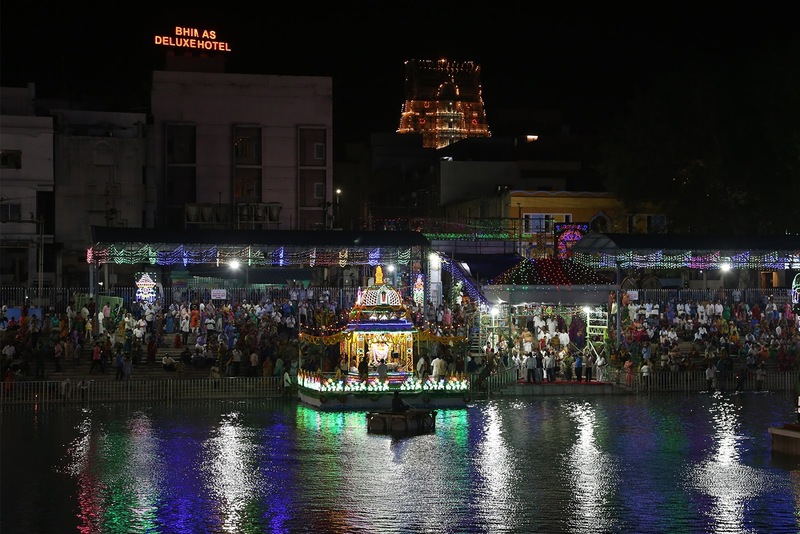 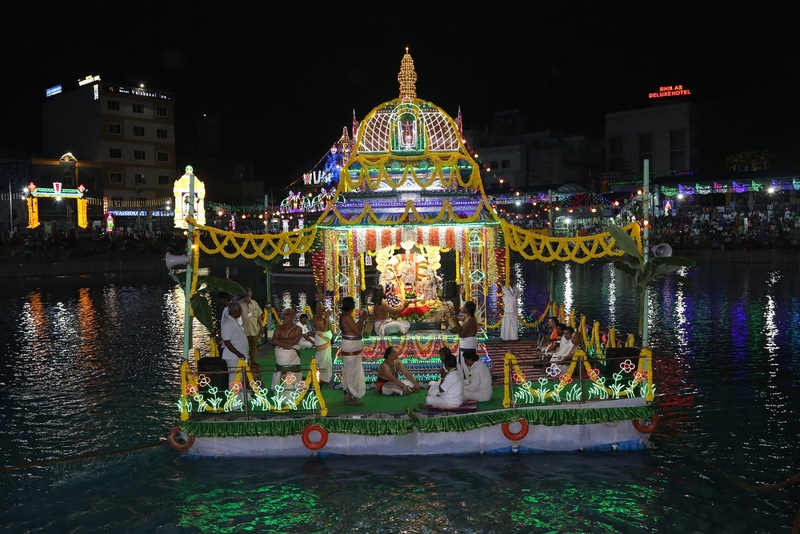 On the inaugural day of the annual Float festival,the deities of Sri Kodandarama swami along with Sita and Lakshmana rode on the float five times in the Pushkarani of Sri Govindaraja temple.Tomorrow ,Thursday ,the deity of Sri Parthasarathy will be taken on the float ride. 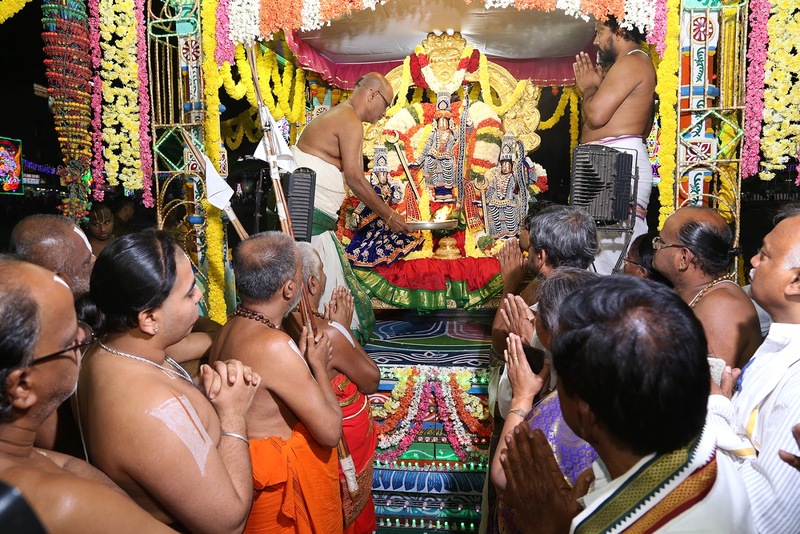 The artists of HDPP and the Annamacharya project,presented bhajans, harikathas and Bhakti sangeet programs on the occasion.